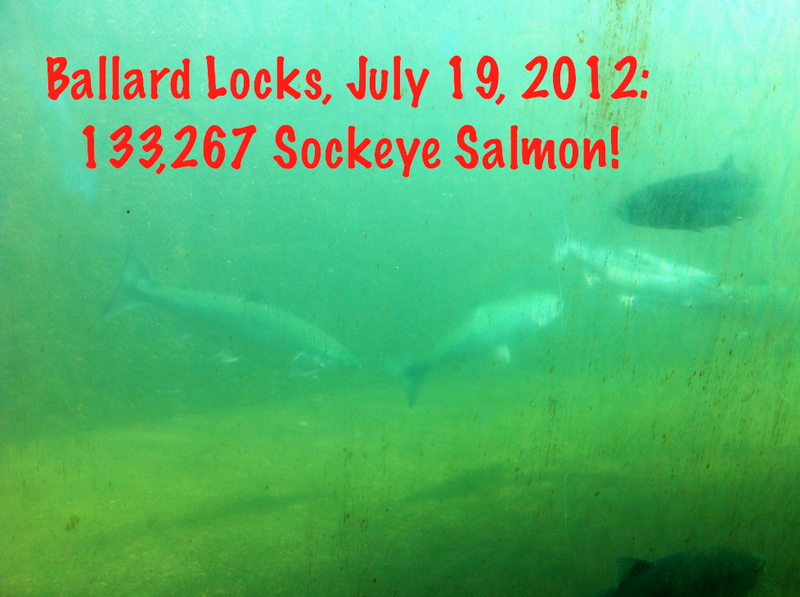 Sockeye Salmon at the Ballard Locks. Here is the link for the Sockeye Salmon count. We are hoping that enough get through the locks so that a season occurs in Lake Washington. We will need 350,000. We are almost there. We are way above the predicted guess of about 46,000! This entry was posted in fly fishing by Rory. Bookmark the permalink.